Nebraska would review its investments in fossil fuel companies under a bill heard by the Nebraska Retirement Systems Committee Feb. 21. 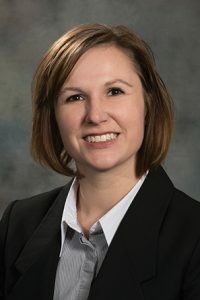 LB412, introduced by Sen. Kate Bolz of Lincoln, would require the state investment officer to determine how much of the state’s money is invested in companies or funds that derive at least 50 percent of their revenue from the extraction or combustion of fossil fuels, including coal, oil and natural gas. The state investment officer is a member of the Nebraska Investment Council, which manages $23 billion in investments in state pension plans, retirement plans, public endowments and other programs. The bill would require the state investment officer to report on the volatility and risk associated with fossil fuel investments and begin the process of investing in clean energy, such as solar or wind, in a way that is consistent with prudent investment strategies. Bolz said the bill would not require the state to sell any current investments or stop the state from making good investments in any energy sector. The investment officer would be required to report on the status of fossil fuel investment and clean energy investment to the governor and the Clerk of the Legislature by Dec. 15. James Cavanaugh, speaking on behalf of the Sierra Club of Nebraska, testified in support of the bill. LB412 would not control investment decisions, he said, but simply would provide the Legislature with information on the future of the energy market, which is moving away from fossil fuels and toward renewable sources of energy. “What we would ask you to do is take a prudent look at our investment portfolio and look toward the future,” he said. Carol Windrum, speaking on behalf of Nebraska Interfaith Power and Light, also spoke in support of the bill. She said continuing to invest in fossil fuels is not aligned with humans’ role as stewards of the planet, which is warming at an unprecedented rate. Marilyn McNabb of Lincoln also testified in support of the bill, saying that the energy industry has changed dramatically over the past decade. Wind and solar energy accounted for two-thirds of all new electric generating capacity in the U.S. in 2015, and wind capacity tripled between 2008 and 2015, she said. Over that period, the price of land-based wind declined 41 percent, solar installation costs declined 64 percent and the price of battery storage declined 73 percent. At the same time, McNabb said, large banks such as Deutsche Bank, Morgan Stanley and Bank of America are backing away from investments in new coal-fired power plants. Joe Kohout, speaking on behalf of the American Petroleum Institute, testified in opposition to the bill. He said LB412 seems to dismiss the historically robust gains from investments in the oil and gas industry. He said a dollar invested in oil and gas stocks in 2005 was worth $2.30 by 2013, compared to $1.68 if it had been invested in all other assets. He said oil and gas stocks make up 4 percent of the top 10 public pension funds and accounted for 8 percent of those funds’ returns between 2005 and 2013. Also testifying in opposition was Jason Hayes, speaking on behalf of the Nebraska State Education Association. Currently the state investment officer is required to act solely to benefit the members and beneficiaries of the state’s retirement programs, he said. State law also prohibits the state investment officer from investing in companies or funds if the primary objective is for economic development or social objectives. “[The bill’s] primary objective is a social purpose and is incongruent with state law,” he said.